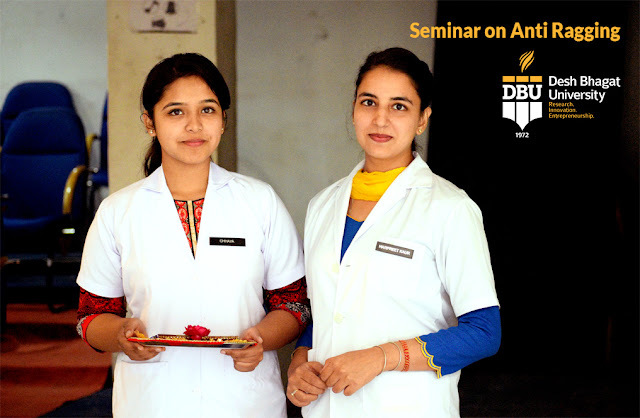 Desh Bhagat Dental College and Hospital Mandi Gobindgarh, a constituent of Desh Bhagat University, best university in Punjab (2nd Rank, NIRF Ranking for top private universities in Punjab- MHRD, Govt. 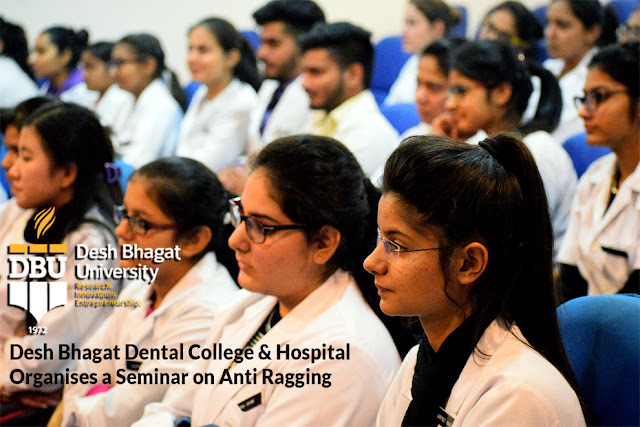 of India) organized an Anti Ragging Seminar for all dental students. The programme was especially arranged to make the students aware against the menace of ragging. Desh Bhagat United Chairman and DBU Chancellor Dr. Zora Singh inaugurated the event. He highlighted that Ragging is an academic evil and DBU campus is a ragging free campus. We have made all arrangements for the safety of the students by forming anti ragging committee and squad. The squad is working very efficiently to provide the students safe and secure environment. Dr. Vikas Jindal graced the occasion as Chief Guest. 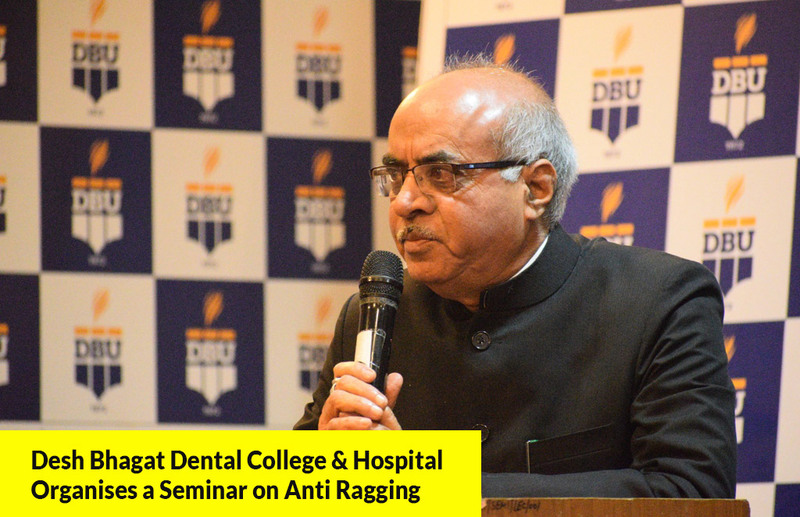 While addressing the students he said that Ragging is a punishable offense, they have to follow code of conduct and report quickly if any incident of ragging happens. He advised them to adhere to moral values learns from family and from your teachers as this provides congenial environment. 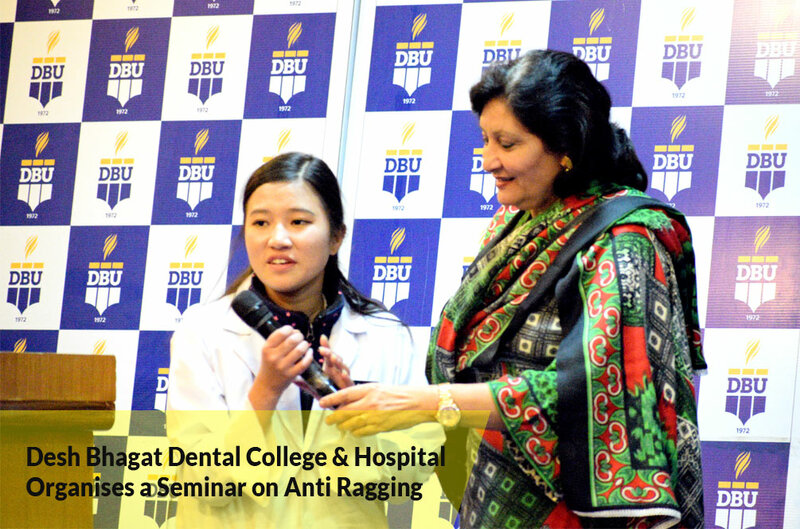 DBU Vice-Chancellor Dr. Virinder Singh emphasized maintaining discipline everywhere. He talked about the importance of discipline and urged the students to maintain it not only in college campus but in Hostel, thus providing ragging free campus. 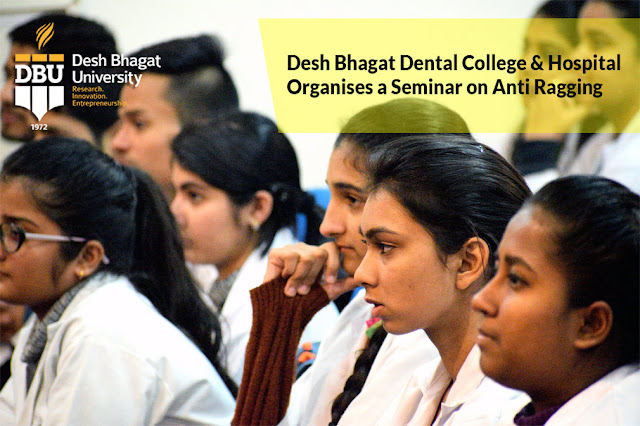 Principal Dr. Rajiv Bali assured the students that the campus is equipped with all modern facilities, if they have any query, they should not feel diffident and contact their teachers without any hesitation. 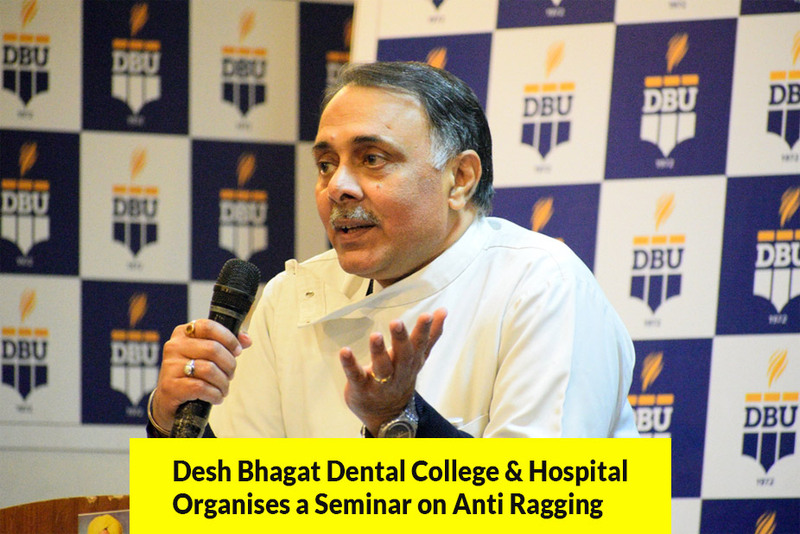 He warned that ragging in any form will not be ignored and quick action should be taken if anyone found guilty. 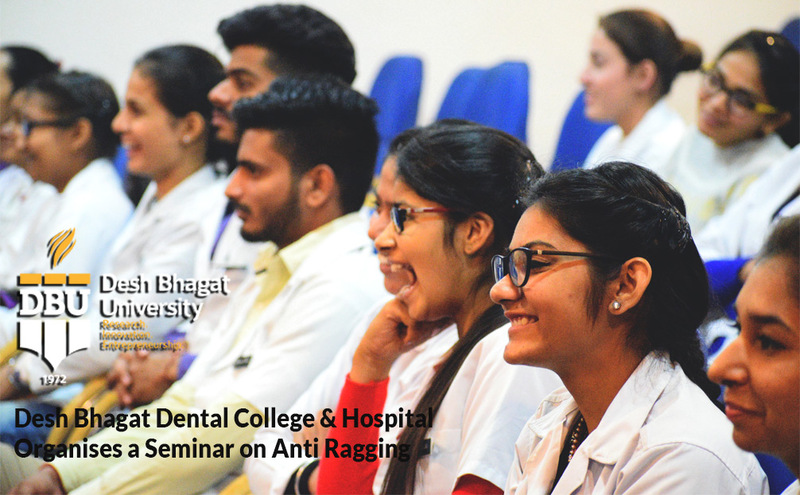 Seminar was presented by faculty member Dr. Rajbir Kaur Grewal who explained about all laws, regulations related to menace of ragging. She also shared details of anti ragging helpline and email of anti-ragging committee. Vice Chairperson DBU, Dr. Tajinder Kaur proposed Vote of Thanks. She advised the students to inculcate the values of hard work, commitment and dedication. At the same time, they have to keep themselves away from bad habits and bad company. 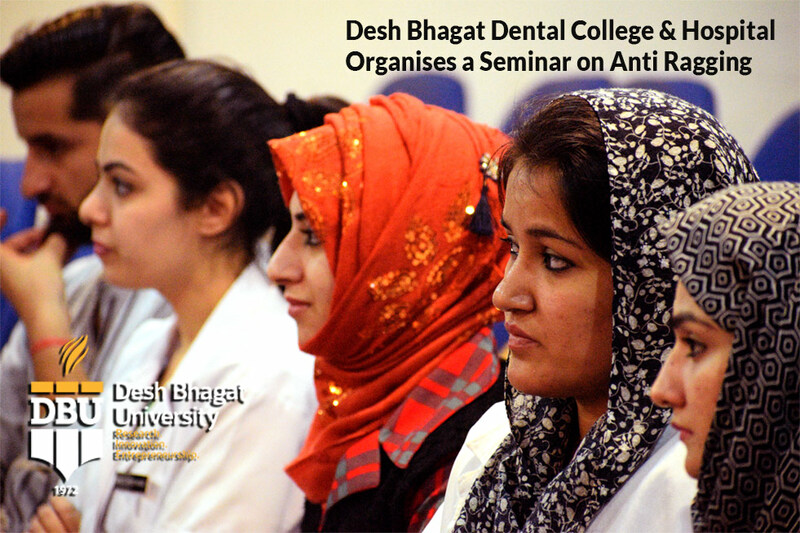 Dr. Sanjiv Soni, Hod’s and staff members were also present at the program.